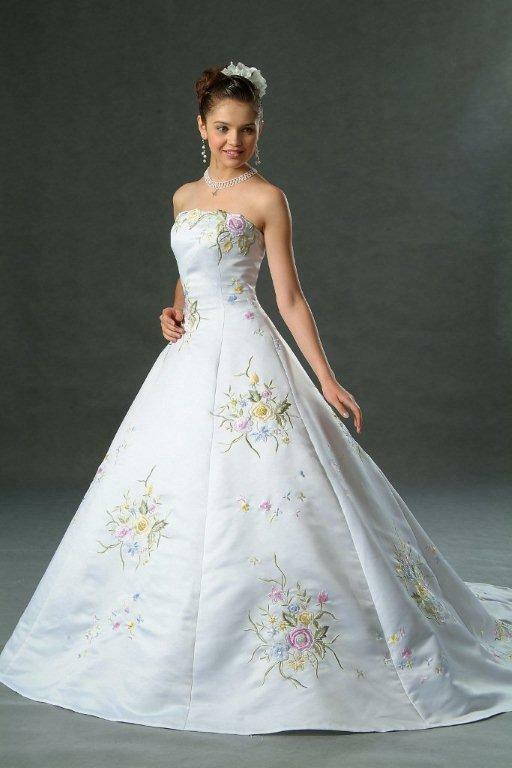 This is a one piece gown with A-line shaping and princess seams. The gown is embellished with floral embroidery that is accented with sewn on iridescent sequins and beadings. 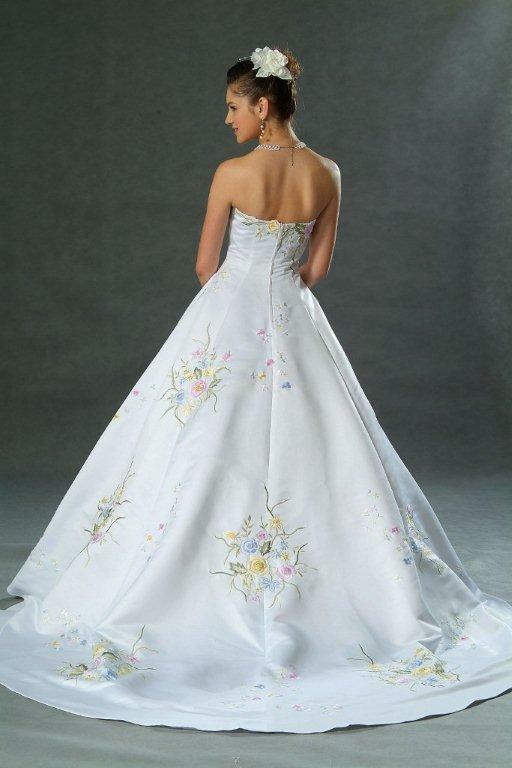 The flowers are in light blue, blush, yellow, lavender and has green vines. This gown can be worn with spaghetti straps or strapless. The spaghetti straps are embellished with sequins and may be remove. A matching embroidered stole is also included. 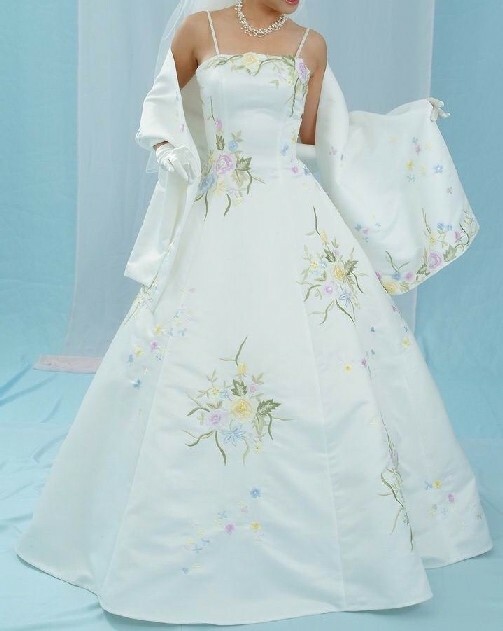 This gown retails in the $700 range. 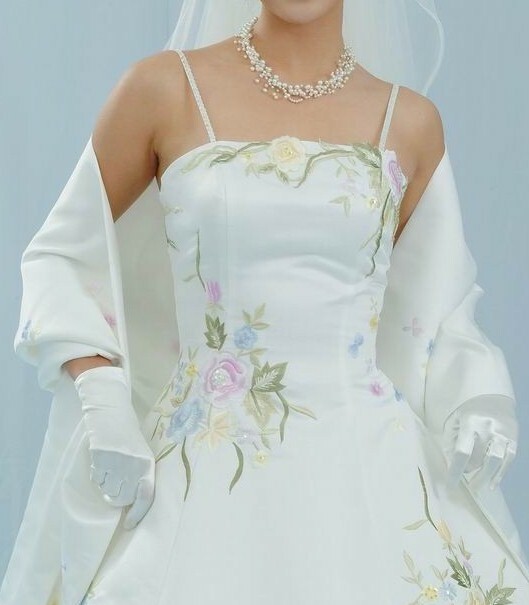 Please Note: Your wedding dress order is not including gloves, shawl, wedding veil and the crinoline petticoat of the wedding dress.